Give Thanks for Your Digestion! The holiday season brings feasts, parties, merry-making and heavy foods. Big meals complete with turkey, dressing, mashed potatoes and gravy leave us sleepy and ready for an afternoon nap on the sofa in front of the fireplace. If you're concerned about increasing your immunity during the flu season, you'll want to avoid overeating. Instead, take time to savor each bite and stop eating when you are satisfied. Before each meal, pause for a moment and be thankful for your digestive system, the food, the cooks and the Creator. Digestion is the process of taking in and assimilating Intelligence from the universe to feed and nourish our own Inner Intelligence. Through our digestive tract and our senses, we digest and metabolize our food and our experiences. If we digest well, we maintain good health. If we don't digest so well, ama is formed (ama is the ayurvedic term for impurities, the sticky stuff that clogs the srotas, or the channels of flow). Ama is defined by Maharishi Mahesh Yogi as, "the product of unripe digestion of food and experiences." Ama is fertile ground for viruses and bacteria to multiply and cause disease. Ayurveda identifies 13 agnis, or fires of digestion, that process what we take in from the universe and transform it into our physiology. The agnis represent the sum total of the hydrochloric acid in the stomach and the digestive enzyme systems found in the saliva, small bowel, gall bladder, pancreas and the liver. The agnis have to be tuned up and adjusted, just like spark plugs in a car have to be adjusted so that the engine runs smoothly. Agnis are sensitive — to maximize our digestion we need to pay attention to how, what, where, when and why we eat. According to Maharishi Ayurveda, we get the most out of our food when we can enjoy the food with all our senses. Turn off the TV, put down that book and avoid business deals during meals so that our attention is not divided. Food should be high quality, fresh, organic and natural. Avoid genetically modified (GM) foods. Select food according to your constitution and the season, or any particular dosha imbalances that you have. In November the winds have blown the leaves off the trees and we are in Vata season. This is a good time to eat delicious soups to counteract the drying effects of Vata, one of three ayurvedic body types. Also, develop a settled daily routine to balance out the irregular nature of Vata. Food should be prepared in a settled environment by a Happy Cook Who Loves You. It should include all six tastes, but more of the tastes that balance any particular doshas that are out of balance in the physiology. Sweet, sour and salty tastes pacify Vata. Bitter, pungent and astringent tastes pacify Kapha. Sweet, bitter and astringent tastes pacify Pitta. Each taste triggers a different set of agnis, or digestive enzyme systems. The easiest way to get all six tastes for your particular dosha is to order MAPI's churnas (spice mixtures for balancing Vata, Pitta and Kapha). Gently heat a teaspoon of your churna in two teaspoons of ghee until the spices begin to foam up. You can sauté vegetables in this mixture, add it to soups at the end of cooking, or drizzle it on your food. Food should look good, smell good and taste good. To avoid overloading the agnis, take in less heavy foods such as ice cream, yogurt, peanut butter, bananas and cheese. Cooked food is digested more easily than raw food. Look to the sun for your clue about when to eat the biggest meal of the day. When the sun is directly overhead, the digestive agnis are strongest. Therefore, lunch should be the biggest meal of the day. Eat lightly at night so you don't go to bed with food still in the stomach. And go to bed before 10 p.m., so that your body can go into its self-cleaning cycle and clear out impurities before they create ama. The ideal place to eat is sitting down, comfortably at home. It's best to eat to satisfy hunger. Hunger is the body's sign that the digestive system is ready to take in food. If you eat for some reason other than hunger, then the agnis aren't prepared to digest that food and it will create ama. How well do we meet these simple guidelines for good digestion? No wonder our culture has an epidemic of digestive disturbances: gastroesophageal reflux (GERD), hiatal hernia, peptic ulcers, gallstones, colitis, diverticulitis, diverticulosis, constipation, colonic polyps, inflammatory bowel diseases like Crohn's disease and ulcerative colitis and various types of gastrointestinal cancers. Forty percent of us at some time in our lives have irritable bowel syndrome — alternating diarrhea and constipation accompanied with gas and cramping. In medical schools, very little is mentioned in the areas of diet, nutrition, digestion, assimilation, metabolism and elimination. My annual lecture to the first-year medical students at IU is one of the few times they have any exposure to this critical area. Traditional modern medicine offers a slew of high-tech testing (GI X-rays, blood tests and scoping procedures) and an array of drugs such as antacids, proton pump inhibiters (such as Prilosec and Nexium), H2 antagonists (such as Zantac and Pepcid) and antispasmodics. I've heard visiting ayurvedic physicians from India (Vaidyas) say that ayurveda is the "Owner's Manual for the Human Being." With American health care costs skyrocketing, maybe we need to think about opening up this "Owner's Manual" a little sooner. Imagine the impact of teaching our children how to live more in balance with the cycles of nature. In order to digest properly, we need to eliminate properly. A daily morning bowel movement is considered the gold standard. A common finding with my patients is irregular elimination and low agnis (low digestive fire-power), sometimes associated with high levels of dysfunctional stomach acid and reflux. Ayurvedic interventions include reducing the digestive ama, building up the appropriate agnis and fostering regular bowel movements. There are simple ayurvedic interventions to clear out ama and stimulate the agnis. Include ginger before meals, which stimulates the agnis. Use fresh ginger root if there is constipation and ginger powder if you have looser stools. Chewing and swallowing fennel seeds after meals helps reduce digestive gas. Thousands of my patients with digestive problems have been helped with the ayurvedic "Hot Water Sip." Boil pure water for 10-15 minutes in the morning. Wait a few minutes and then pour it into a thermos. You can add a little fresh lemon juice or a special formula of spices chosen to balance whatever doshas are out of balance. Sip on that every 30 minutes during the day until about 6 p.m. in the evening. This reestablishes the downward movement of elimination (Apana Vata). It enlivens the agnis and reduces digestive ama. If you are over-heated, then pour a little water from the thermos into a cup, let it cool off for a moment and sip it warm. There are numerous Maharishi Ayurveda herbal preparations that bring balance to digestion and elimination. The 15 herbs in Aci-Balance help balance excess acid and digestive fire, improve overall digestion and help the body preserve the purity and vitality of nutrients from the foods you eat. Herbal Di-Gest is a blend of 10 ayurvedic herbs and spices taken before lunch and supper that helps improve assimilation and elimination. It balances appetite and digestion, reduces ama, eliminates cravings and makes food more satisfying and nutritious. Organic Digest Tone contains three remarkable fruits — Amla berry, Haritaki (Chebulic Myrobalan) and Bibhitaki (Belleric Myrobalan) — and each possesses the superior healing and anti-aging qualities known as Rasayana. Organic Digest Tone purifies so gently that when used over a long period of time, it allows even the deepest tissues and organs of the body to release toxins. Despite its powerful cleansing quality, it also enhances food absorption. Organic Digest Tone promotes ojas, the finest product of digestion, which prevents disease, creates luster in the skin, and rejuvenates vital energy. For a thorough discussion of the well-researched benefits of Organic Digest Tone, go to the MAPI archived newsletter here. 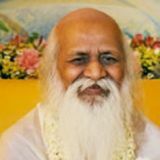 In 1959, Maharishi Mahesh Yogi embarked on a global quest to revive the practice of a simple meditation technique known as Transcendental Meditation®, with the goal of helping people achieve lives free of stress and infused with inner peace. 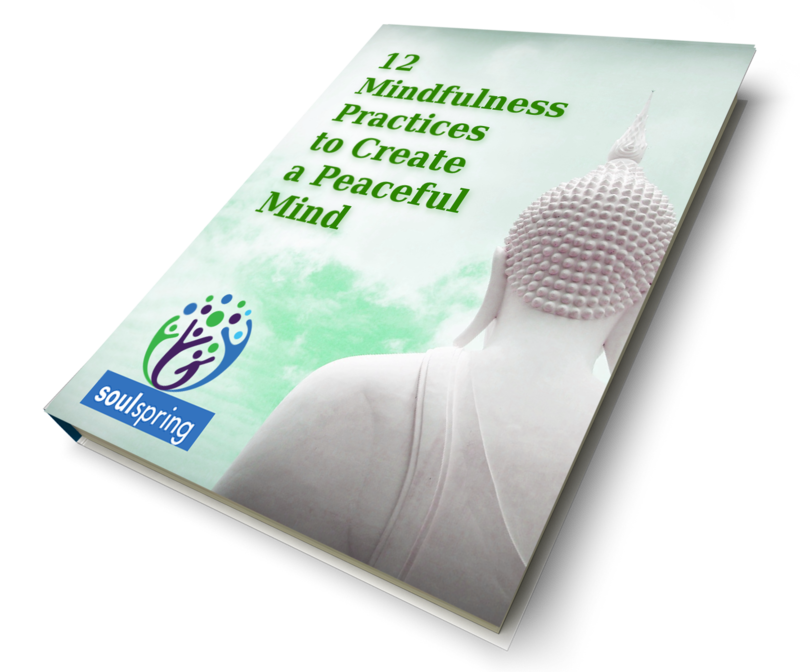 Since then, millions of people, in over 50 countries, have learned Transcendental Meditation. The importance of turning inward and relieving stress is now widely accepted around the world due to Maharishi's efforts. As part of his revival of this ancient wisdom, Maharishi introduced Ayurveda to the western world. In Sanskrit, Ayurveda literally translated means "the science of life." In honor of him, our company is named Maharishi Ayurveda. Maharishi means "great seer" in Sanskrit, and it is appropriate that the revival of this ancient knowledge is prefaced this way. Maharishi was unyielding when it came to the authenticity of these ancient formulations and their purity. In the early days of Maharishi Ayurveda, Maharishi, surrounded by the greatest Ayurvedic experts in India, rejected formulas due to minor deviations from the ancient original texts or due to lack of purity in the formula. This is the foundation of vpk® by Maharishi Ayurveda: Authentic, Pure, Effective and Safe. For more information on our Founder and the Transcendental Meditation technique, please visit http://www.tm.org.